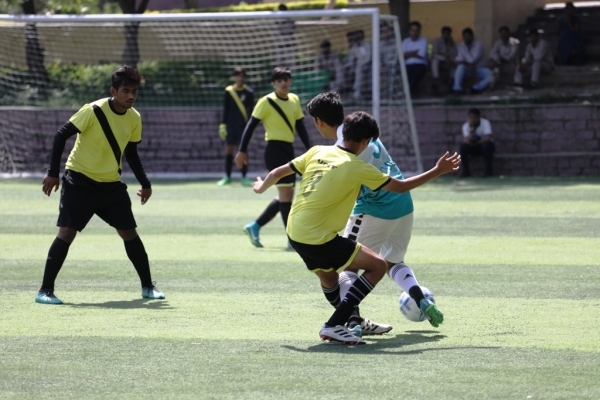 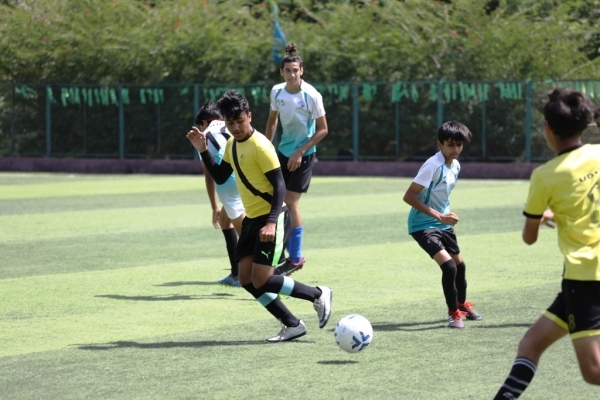 Indus International School registered a 4-1 victory over Shri Ram International, Moulsari in the final of the 1st IBSO U-17 Boys Football Tournament hosted by The Sanskaar Valley School, Bhopal. 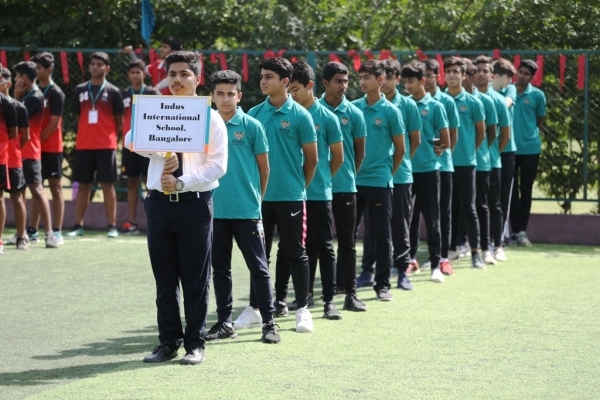 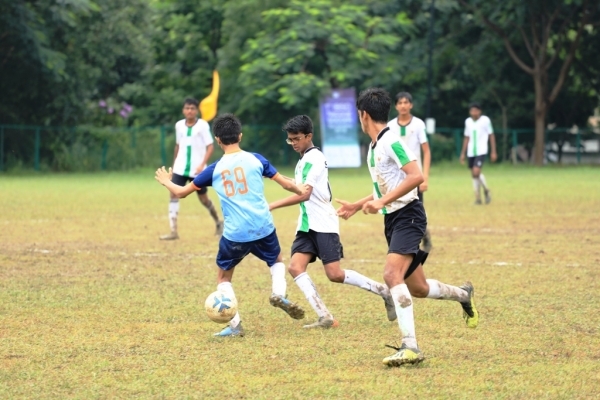 This 3-day tournament from 20th -22nd September 2018 witnessed a participation of over 200 students from 13 schools who played their best game at the tournament. 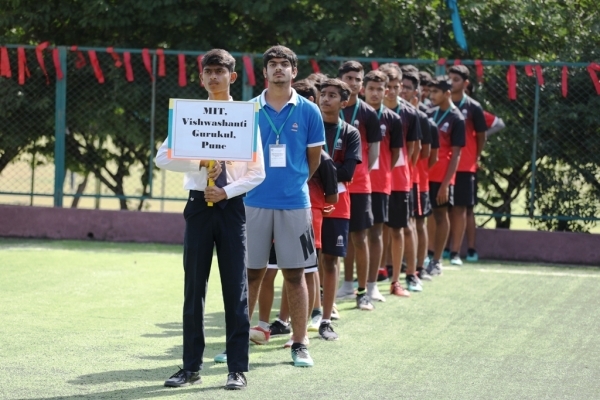 Mr. Gaurav Dixit, Director-Marketing, SGFI was the chief guest for the opening ceremony and saw the first match that was played between the host school and Pathways School, Noida. 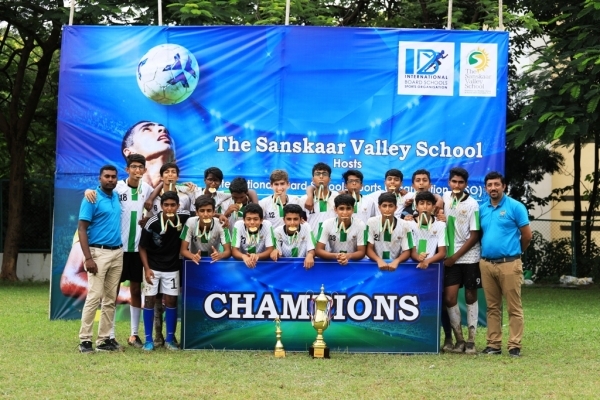 Mr. Mohnish Mishra, Cricketer from IPL Pune Warriors was the chief guest at the closing ceremony who handed over the winning trophy to Indus International School. 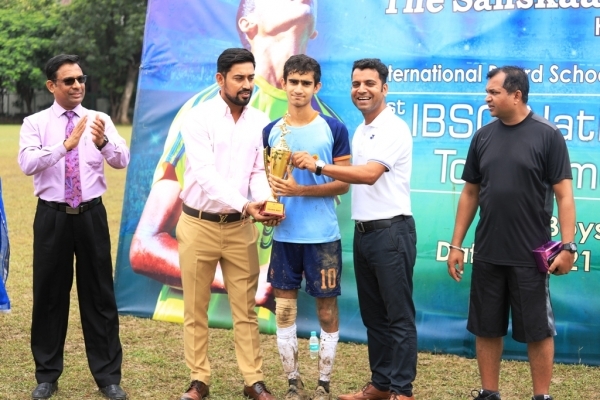 Anushkrit Mourya from TSVS was awarded the Most Promising Player of the Tournament trophy!